IF YOUR COMPANY HAS A WEBSITE...THIS IS A MUST! 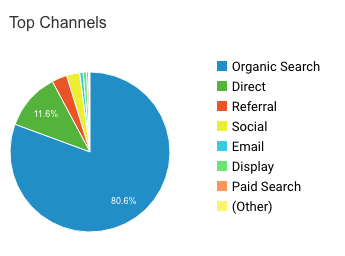 Where these conversions (enquiries, form submission, etc..) are coming from. (e.g. Google, facebook, directly to the website. This is a must in this digital age. Talk to us and see how we can work together. Being able to monitor all the platforms allows you to review what is working well in terms of conversions and channels. Having all the data displayed in a visual format in one place makes it easy to assess the effectiveness of the different channels. If you are currently investing into your SEO, PPC, or Social Media Marketing, you can monitor your Return On Investment. If you need to find out how you can maximise your social media strategy. or how well your PPC campaign is not performing . Looking at the metrics like bounce rate might tell you that you need to improve your landing pages for better ROI. or where those visitors are dropping off. It’s all good knowing how many people have visited your site, and where they came from, but how do you know if those users are actually converting? Google Analytics allows you to set up goals to track when a user completes a certain action on your site. Regardless of how many users each channel is driving to your site, you need to know that this traffic is converting. Google Analytics has a number of features that allows you to review how well users are interacting with your website and content. These metrics monitor different aspects of the customer journey, showing how the customer has interacted. Bounce rate – The percentage of visitors that navigate away from your website without interaction, after viewing only one page. Pages/Session – The average number of pages each visitor has viewed (this does not include those that have bounced). Average Session Duration – The average amount of time spent on the website by each visitor (again, this does not include those that have bounced). You can also view these stats against individual pages, giving you a better idea as to what pages are performing well, and which may need optimizing to improve the user experience. With the introduction of mobile first rankings, this section has become even more important. As your website now needs to be mobile friendly if you want them to be included in rankings for relevant search results. Google Analytics allows you to monitor which devices your users are coming from, giving you some indication as to how well your mobile site is working in comparison to the desktop version. 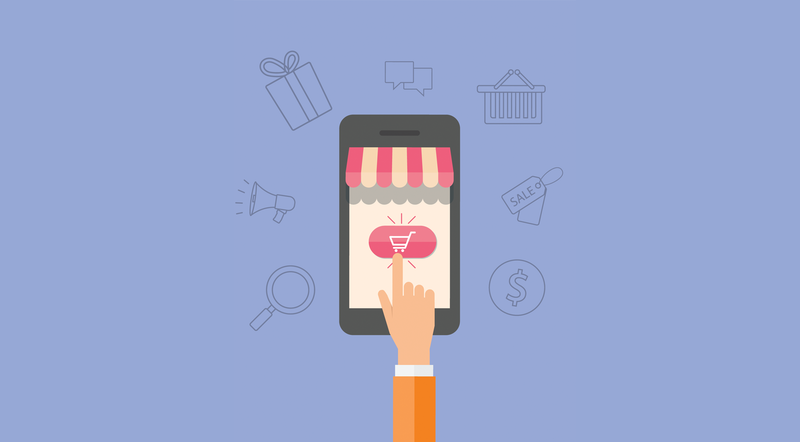 If you are receiving a similar amount of visitors from each platform, but less conversions on one, it may be a problem with the user experience of that version of the site. Google Analytics data on its own can tell you a lot about website performance. This information can be very helpful. However, if you don’t know what you are trying to achieve, it’s just that: information. True performance tracking and improvement comes from comparisons on KPI’s against previously set goals. Do you want people to get in touch? Download your white paper? We’ve set out a handy guide on setting business objectives and how to break them apart to track performance: Digital Marketing Measurement. Why Should I Use Google Analytics? If you’re not already convinced, let us summarize. Google Analytics allows you to track many important metrics, covering all aspects. You can monitor the effectiveness of your online marketing strategies, onsite content, user experience, and device functionality. All these statistics show you what is working well, and more importantly, what isn’t. Once you identify any issues your site may have, you can create a solution. Google Analytics allows you the information needed to improve your website, and make it the best it can be. Thrive online — Use smart strategies to showcase your company. Ready to get started? We work at speed, tremendous speed, but we stay hungry. The digital world moves fast, and is constantly accelerating so we aim to always be at the forefront of that acceleration. Speed is one thing, agility is another. The ability to be fluid and adapt to constantly changing situations is something we absolutely pride ourselves on. Every choice, every call, every decision is a lesson in how to do things. We aim to make every decision even better than the last. Decisions based on reportable data turned into meaningful information. We connect the dots. We forge a new path. We always find a way. Without them we wouldn’t be here. Their satisfaction is the ultimate satisfaction. Our culture is important to us, but so is growth. As we expand, we look to maintain the identity that got us here in the first place. What else are we here for?